It’s the perfect time of year to start thinking about great DIY Christmas gifts for your friends and family! 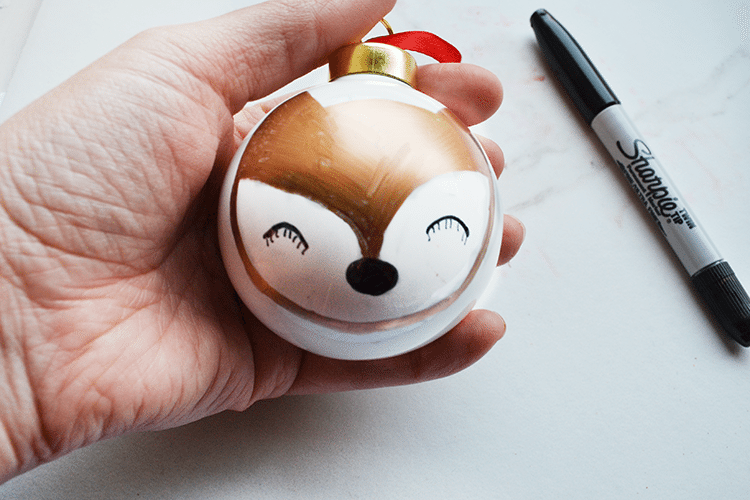 These adorable woodland animal ornaments made with Sharpies are the perfect place to start. 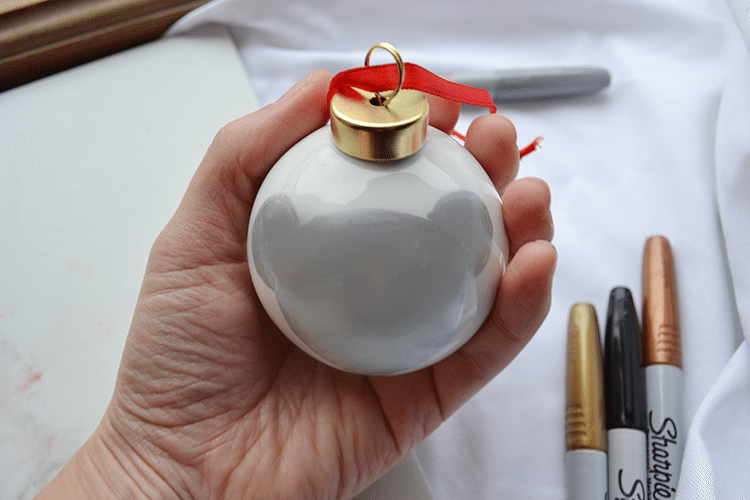 Sharpies work great on white porcelain Christmas ornaments for all kinds of designs, patterns, and fun. 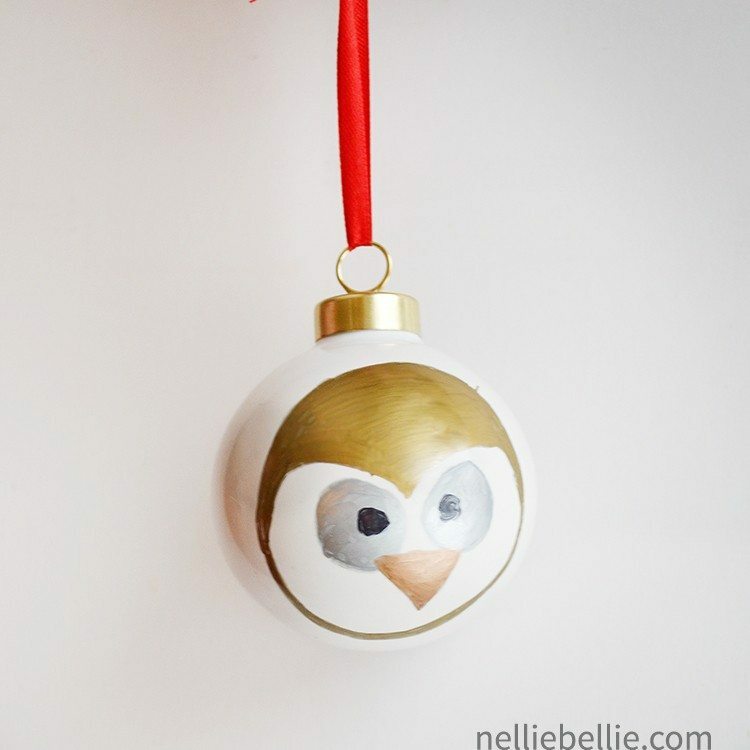 Check out the adorable set of 4 Christmas ornaments we made last year. 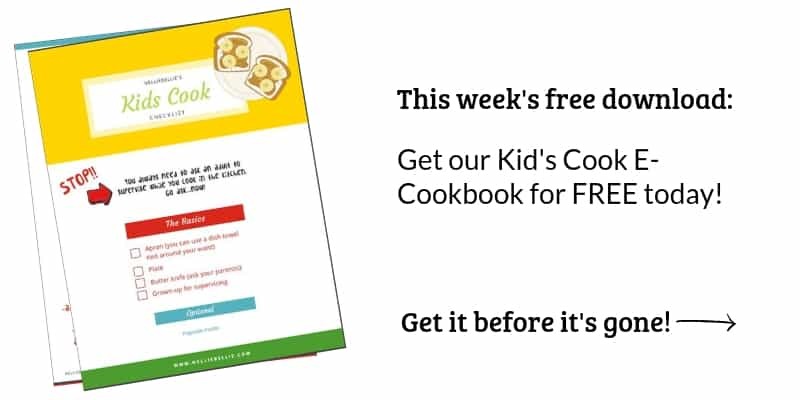 Super fun and easy! Didn’t think we could top those? Neither did we, but boy were we wrong! We think this set of 4 woodland animal ornaments is BETTER than last year’s set. …and maybe faster, easier, and definitely more adorable! Really, you can’t go wrong with a cute fox, can you? So , whip up a set of these cuties! Keep them for yourself or gift them to another. 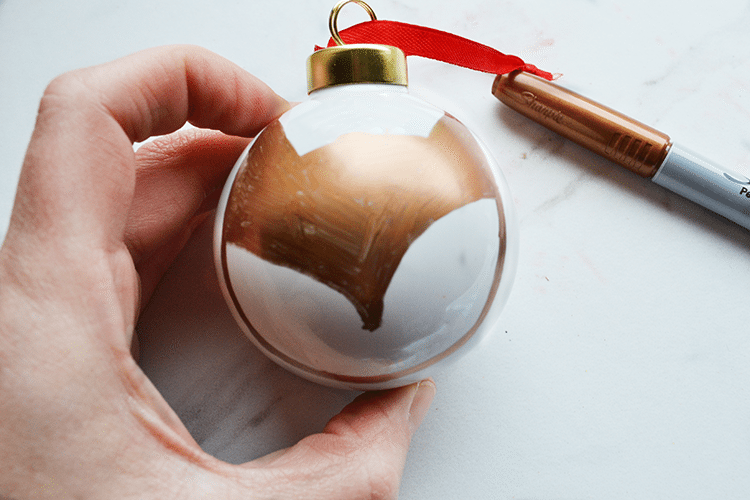 Either way, these ornaments make for tons of DIY Christmas fun! 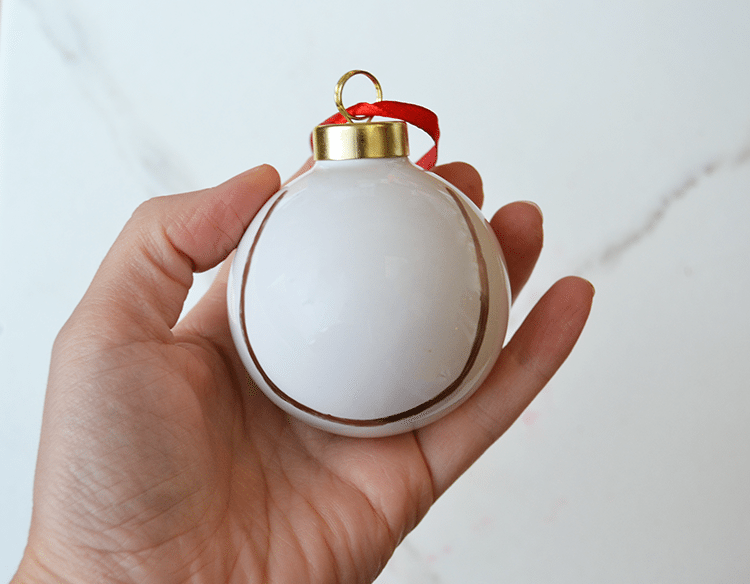 We’ve created an easy-to-follow video for each of the ornaments. The Fox and Mouse are in one video, the Bear and Owl in the other. We’ve also included a picture tutorial to follow along with as well, with step-by-step directions. 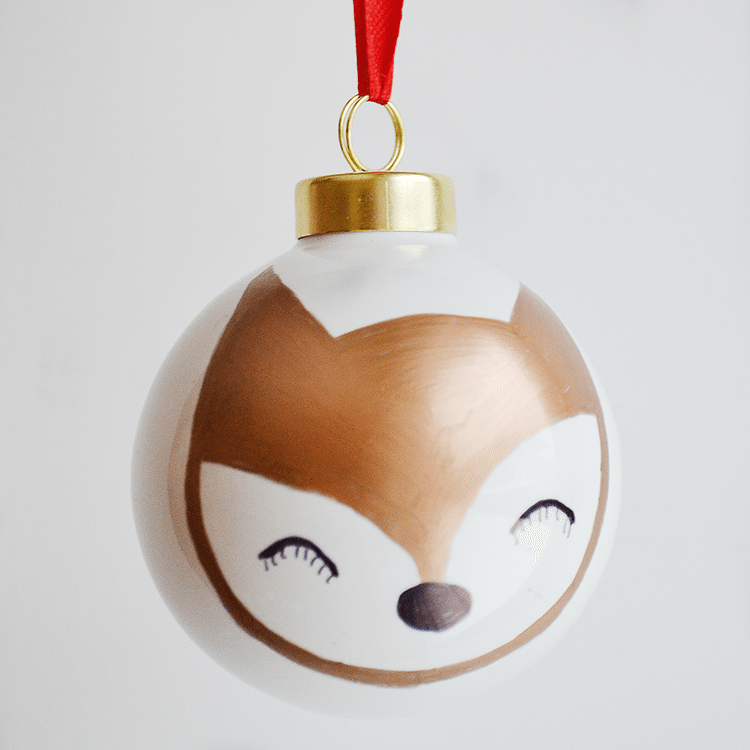 When you’re done, be sure to pop over to our FACEBOOK PAGE to share your woodland animal ornament friends with us. We’d love to see what you all create! Step 1. 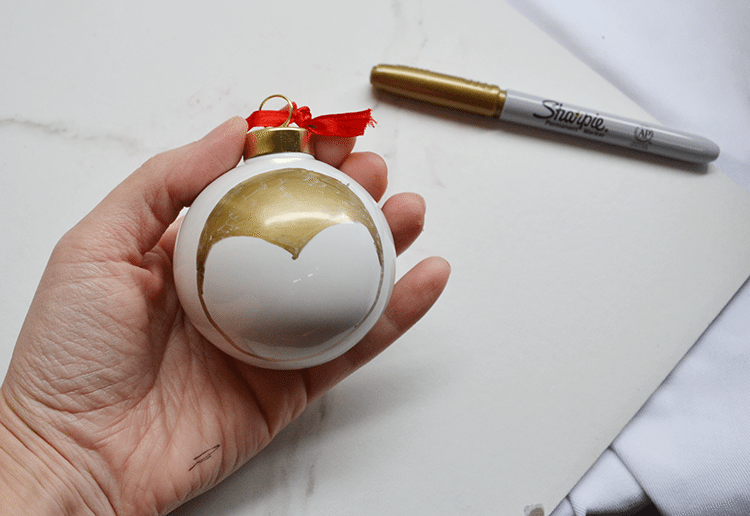 Create a large U shape on the ornament with the bronze Sharpie. Step 3. 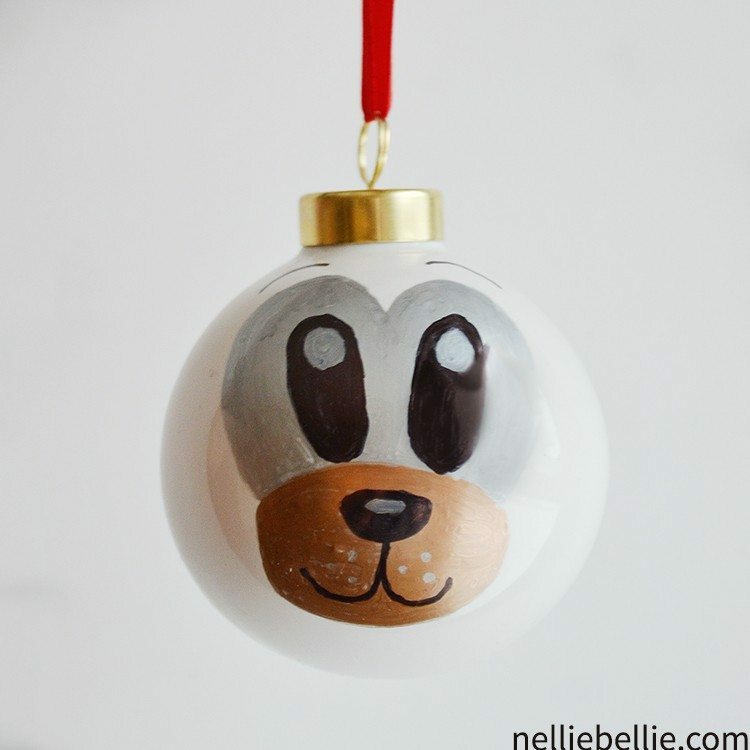 Use the black Sharpie to add an oval for a nose, 2 upside down Us for eyes, and eyelashes. Step 1. 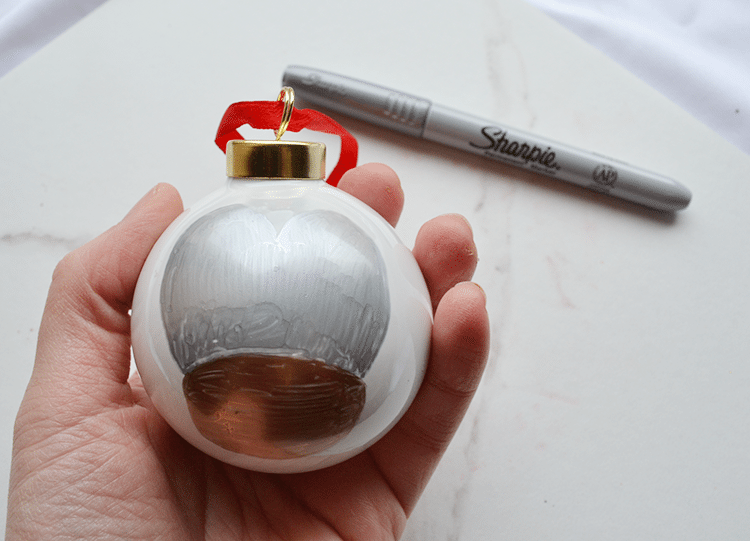 Create a raindrop shape on the ornament with a silver Sharpie. Step 2. Add 2 ears to the top of the raindrop shape. Step 3. 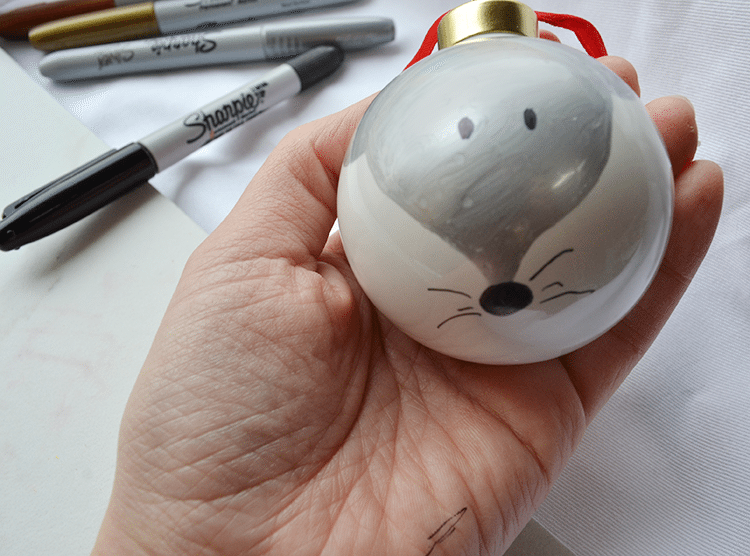 Add an oval with your black Sharpie to the bottom of the raindrop shape for the nose. Add a few whiskers. And, of course, 2 ovals for eyes. Optional: Fill in the ears a bit with the gold Sharpie. Step 1. 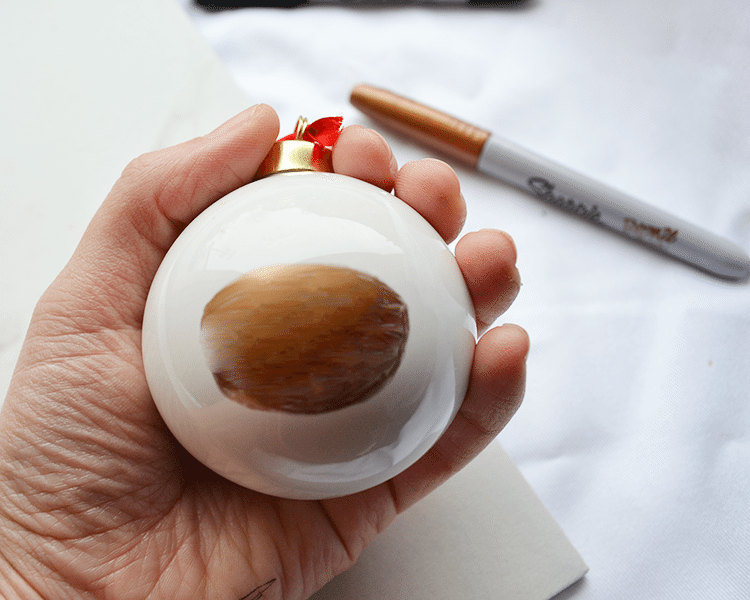 Use the bronze Sharpie to create an oval towards the bottom of the Ornament. Step 2. 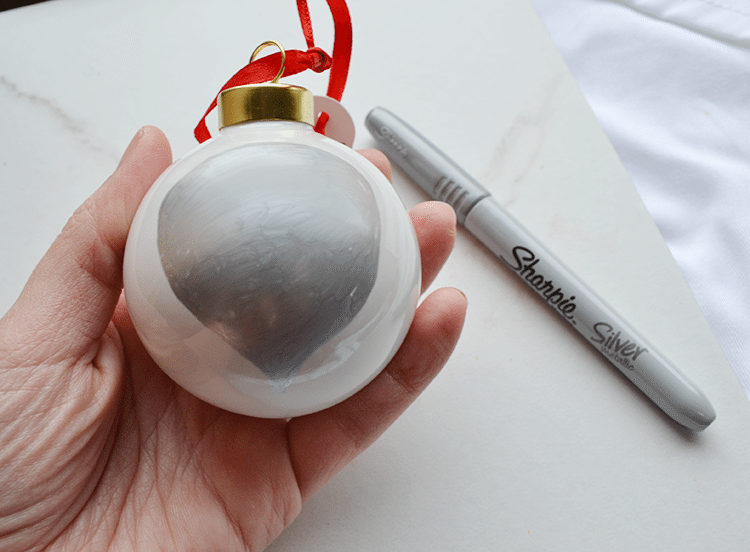 Use the silver Sharpie to create what looks like the top of a heart shape directly above the bronze oval. These will make the bear’s eyes. Step 3. 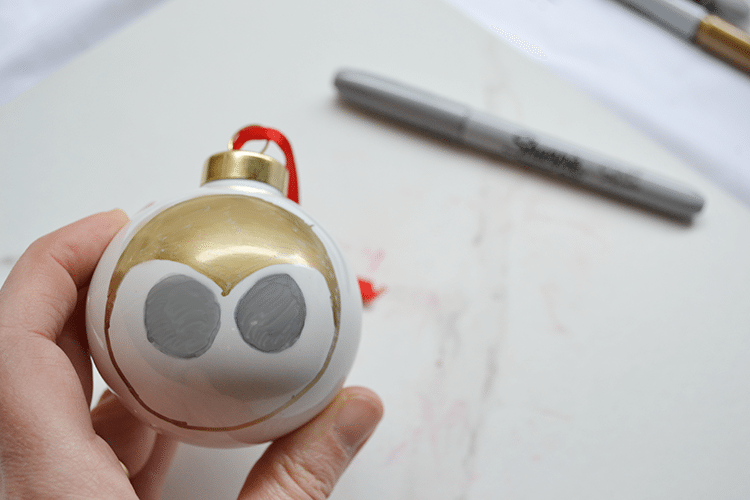 Use the black sharpie to add 2 ovals for the eyes, a nose, and a mouth. 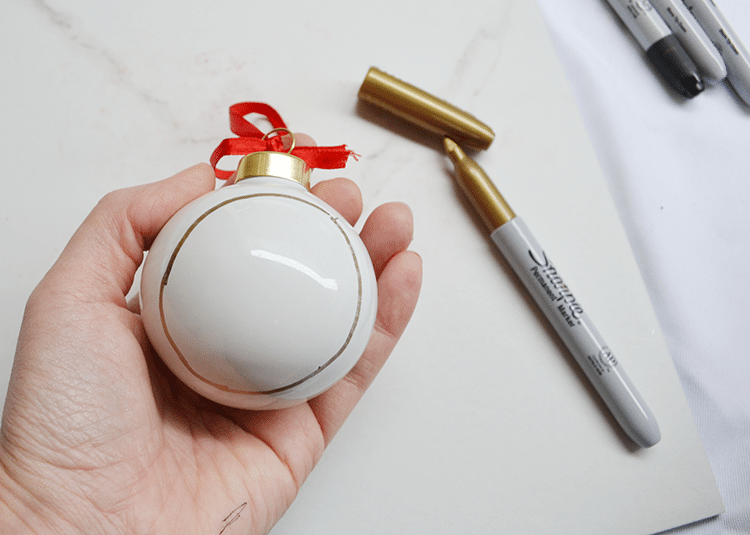 Step 1: Use the gold Sharpie to create a large circle around the ornament. Step 2. 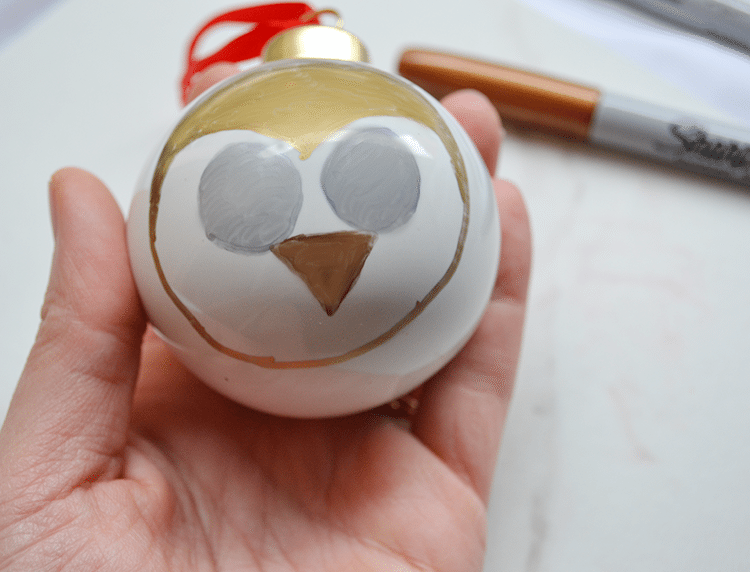 Continue using the gold Sharpie to create the top of the owl’s head (the shape created will look similar to the top of a heart). Step 3. 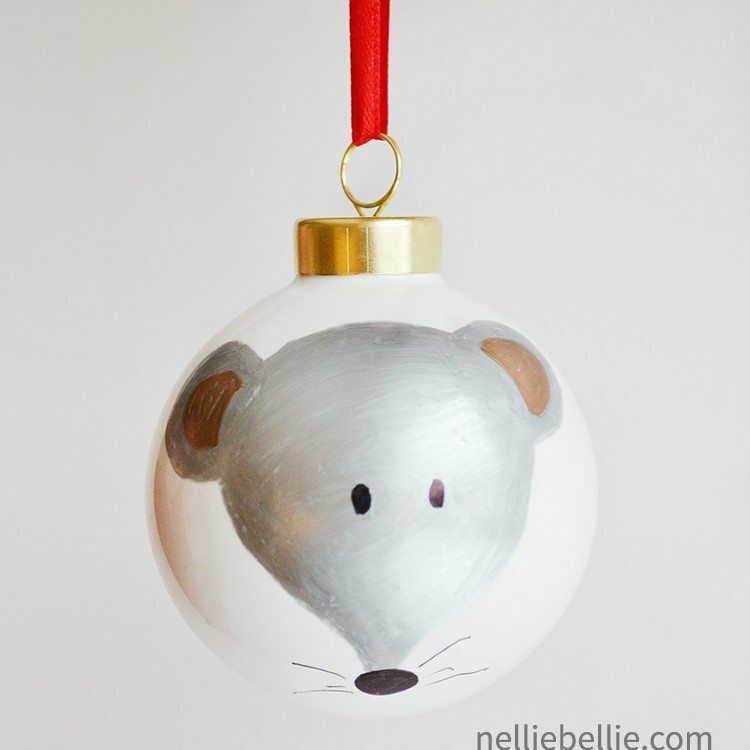 Use the silver Sharpie to add 2 large circles for the eyes. Step 4. Use the bronze Sharpie to create a triangle nose from one eye to the other. Step 5. Use the black Sharpie to add small circles to the eyes. There you have it! Four fun, adorable woodland animal ornaments to add to your tree or gift to friends and family. 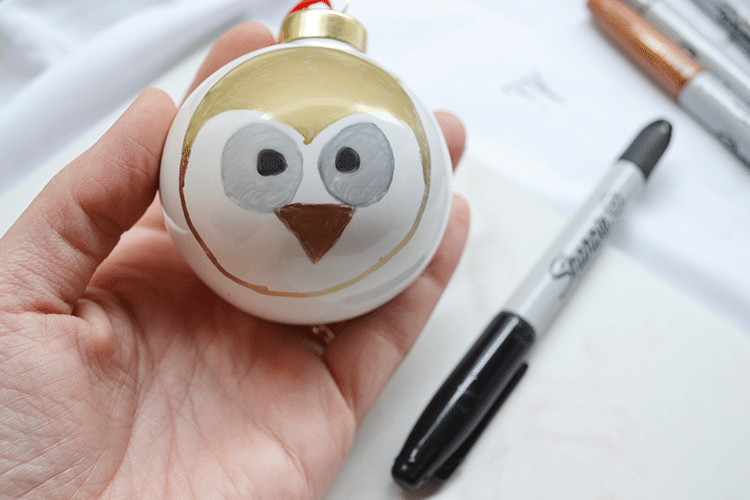 These DIY ornaments are a perfect craft for kids, so they can also give the gift of hand-crafted cuteness to add to the holiday spirit. 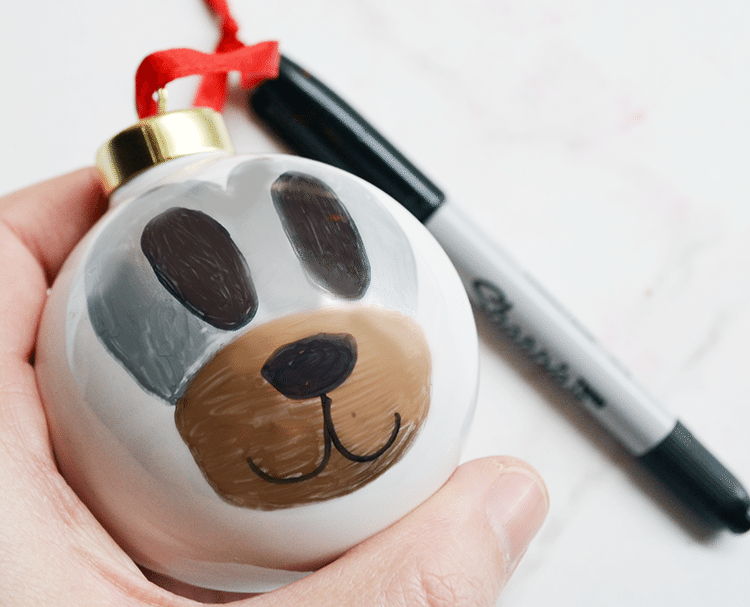 Share your comments, pictures, or ideas for more fun DIY Sharpie ornament creations below in the comments!